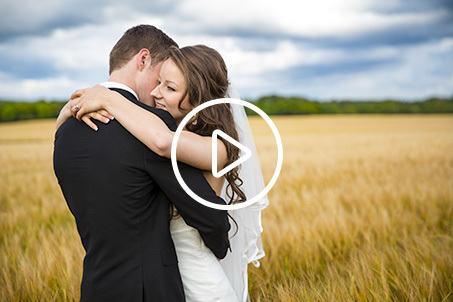 We are a husband and wife photography team based in Leicester, Leicestershire. We have a real passion for what we do and the couples we work with. I got my first camera and started my love affair with photography when I was just 9, by saving up coupons from packets of Soreen Malt Loaf. I was later trained in the artistic elements for photography, starting with film cameras and dark rooms. I began my photographic career in commercial photography, however I was always drawn to capturing people and their emotions. I found the perfect match for this when I was asked to cover a wedding as a favour for some friends. There is something so special about being able to capture real and honest emotions. For a day, we become part of your family, capturing the story your most cherished moments as a couple. I had finally found what I had been searching for in my photographic career. Recently I have been privileged to be able to begin working with my best friend and wife Melissa. Her family has a strong artistic heritage and this translates into her photographic work beautifully. Over the years she has helped plan many weddings and this experience is invaluable when it comes to helping on your special day. Her ability to be able to see things from the brides’ point of view enables her to capture important details and moments that others would miss. It is such a privilege to be able to turn what we love doing, our hobby, into our work. It’s different every time and it’s a real privilege to be invited to capture the connections, emotions and moments that make your wedding day so special. And we are always trying to push ourselves creatively, working on new methods and techniques to make your wedding photographs unique and special to you. We aim to do more then just take photos, we want to create pieces of art that will become part of your families legacy and be cherished for generations to come. Good photographs have the ability to transport you back to those special moments, to relive the emotions and tell the story of the most important day of your life. But we believe in more than just creating stunning photographs. We strive to do all we can to help your day run smoothly. You don’t have to worry about spending hours with us, we work discreetly yet efficiently. We don’t want you to spend hours posing rigidly, rather we want to capture real emotions on your special day. If you are getting married, we would love to hear from you. Please feel free to get in touch with any questions you may have or to arrange a no obligation meet up to talk about your special day and how we can help. We can’t wait to meet you and hear all about your wedding plans.